Since 1987 Scanplus have been offering high quality, great value printing services to clients throughout London and the South East. Our reputation is unparalleled and we’ve become known for being small enough to care about each individual client and print job – but large enough to be able to deliver vibrant, powerful printed materials that meet, and exceed, even our most exacting of clients’ expectations. We offer bespoke digital printing and lithographic printing, as well as expert advice that will help busy account and marketing managers like you complete your project, get your message across – and really get the most out of your print budget. Our commitment to our customers is reflected in our commitment to continually investing in the technology that we use – something that has helped to position Scanplus as a market leader for mailing and printing services. We’re proud to work with a distinctive client list of medium to large companies across a wide range of industry verticals, especially marketing and creative agencies. We use chemistry free printing plates and vegetable based inks in an effort to reduce our environmental impact. We also regularly assess our carbon footprint and support green initiatives such as Two Sides and World Land Trust, all of which have led Scanplus to become one of the most respected environmental printers in London. Scanplus are FSC® certified. FSC (Forest Stewardship Council®) is an international, non-governmental organisation dedicated to promoting responsible forest management worldwide. 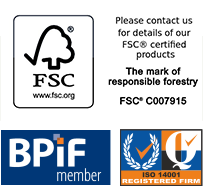 When you choose papers that are FSC certified we can place the FSC trademark logo on your printed item to send the right message to your audience. *FSC trademark licence number FSC® C007915. Meet our team of dedicated print specialists. We constantly strive to deliver the highest standard of service. you can expect the highest degree of professionalism at all times. Below are some of companies that we have recently produced work for.